Availability: Ships in 4-6 Days. 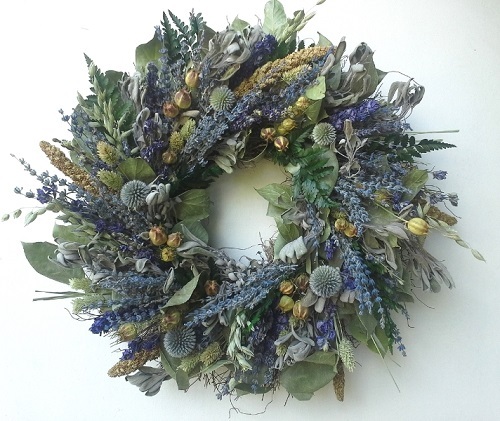 A fragrant blend of all natural lavender and purple dried flowers is what makes this wreath so special. This All-American classic wreath is made from flowers grown by American Farmers and arranged by American floral designers. Ingredients include natural Lavender, Nigella Pods, Thistle, Purple Larkspur, Sage, Preserved Salal leaves, and Grasses. Wreath measures "20 Diam. Recommended for indoor use only.